Head for the Brevard Music Center in Brevard, NC for summer festival concerts. 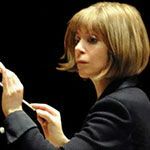 Principal Guest Conductor JoAnn Falletta leads the Brevard Music Center Orchestra in an all-Russian program. 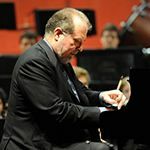 The program includes Mussorgsky’s majestic Pictures at an Exhibition, as well as the ever-popular Piano Concerto No. 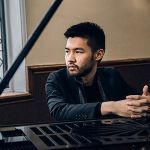 2 by Sergei Rachmaninoff featuring the rising 20-year-old phenomenon Conrad Tao. 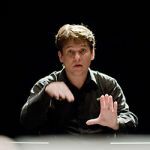 Pianist Garrick Ohlsson performs the monumental Second Concerto by Brahms, and the Beethoven “Pastoral” Symphony is also on the program with the Brevard Music Center Orchestra led by Artistic Director Keith Lockhart. 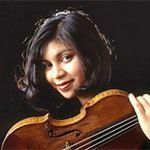 Open Air Brevard welcomes acclaimed violinist Adele Anthony to Whittington-Pfohl Auditorium to perform the unjustly neglected Dvorak concerto with the Brevard Music Center Orchestra. There’s also music from the beginning of Stravinsky’s career, and the end of Prokofiev’s. This edition of the program features the Brevard Music Center Orchestra performing a selection by the Russian master Sergei Rachmaninoff, followed by the Brevard Sinfonia spotlighting Central European composers – Dvorak, Kodaly and Janacek. Principal Guest Conductor JoAnn Falletta conducts selections from Beethoven, Strauss’ “Dance of the Seven Veils” from Salomé and Respighi’s "Church Windows."